As winter approaches, our thoughts may turn now to winter breaks and next year’s summer holidays. This blog post is written by writer Gill Bendall. 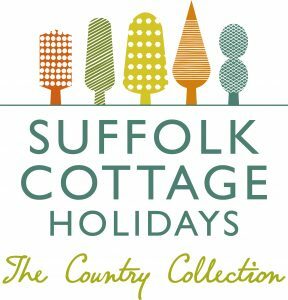 Gill writes for Suffolk Cottage Holidays (a festival sponsor) and its parent business The Original Cottage Company, as well as writing and editing for a number of national and local magazines. She is the owner of the Coastal Guide. She regularly sails her yacht on the River Stour and knows the area well. The River Stour Festival has highlighted the history and importance of the mighty watercourse that marks much of the border between Suffolk and Essex, and celebrated its role as a vital transport route, essential to the economy of East Anglia and the lifeblood for many towns and villages. 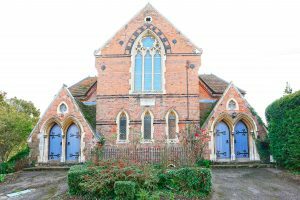 But it’s also thrown the spotlight on an area that’s much-loved as a holiday bolthole, a place where those who want to spend time immersed in rural idyll can unwind in the countryside, towns and villages immortalised by a number of internationally-acclaimed artists. For evidence look no further than Constable Country, so-called because it was the setting for some of the ‘chocolate-box’ scenes painted by John Constable (1776-1837) who, as a schoolboy, would have crossed the river and walked through the meadows from East Bergholt to his grammar school at Dedham. The subject matter Constable captured is still identifiable more than two centuries later, making holidays here a ‘must’ for those seeking peace and tranquility, and a world apart from some of Suffolk’s more bustling tourist locations. 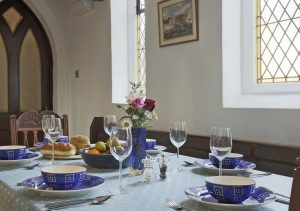 Walk in the footsteps of the great artist while enjoying a stay at The Old Chapel Annexe in Nayland (pictured below), an incredible piece of Suffolk history cleverly converted into self-catering accommodation. Further upriver, Suffolk’s famous Wool Towns are inextricably linked to the River Stour and are additional holiday honeypots. Surrounded on three sides by water meadows and gently rolling hills, Sudbury is the largest, famous for its historic links to Thomas Gainsborough – he was born here, and the surrounding countryside inspired much of his work – and its beautiful blend civic buildings and private dwellings. Make the most of the setting with a riverside stroll or electric boat ride along the River Stour, and stay awhile in the comfort of a self-catering cottage courtesy of Suffolk Cottage Holidays. A veritable picture of prettiness, Lavenham is famous for its woven blue broadcloth – once exported as far as Russia – and is known as England’s best-preserved medieval village. 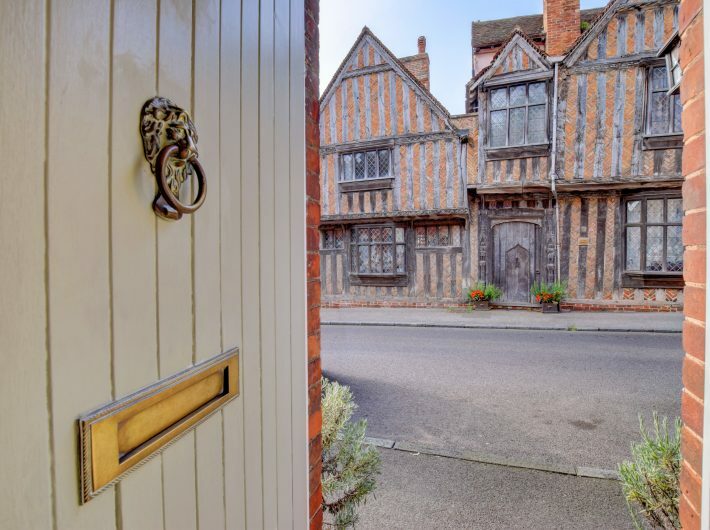 Once the 14th wealthiest town in the country, Lavenham is home to more than 160 listed buildings, some of them almost cartoon-like in their wonkiness. 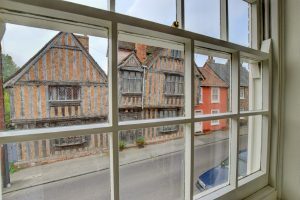 Right in the heart of town, Pilgrims (pictured below) is an utterly charming holiday cottage offering a perfect view over the building famed for its role as Godric’s Hollow in the Harry Potter and The Deathly Hallows film. 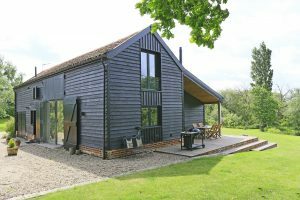 For a getaway closer to the busy mouth of the River Stour, Suffolk Cottage Holidays’ sister-company Suffolk Secrets offers a beautiful barn conversion on the Shotley Peninsula. 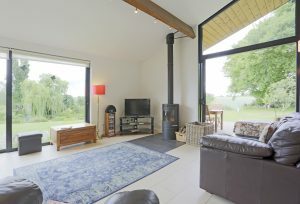 Lake Farm Barn (pictured below) at Holbrook is surrounded by well-groomed grounds and sleeps up to six people, while up to two well-behaved dogs are welcome too. Rural retreats specialist Suffolk Cottage Holidays is part of the Original Cottages family of local holiday cottage letting agencies, all offering in-depth knowledge and an on-the-ground service to homeowners and holidaymakers across England and Wales. To find out more, call 01394 389189 or log on to the website.